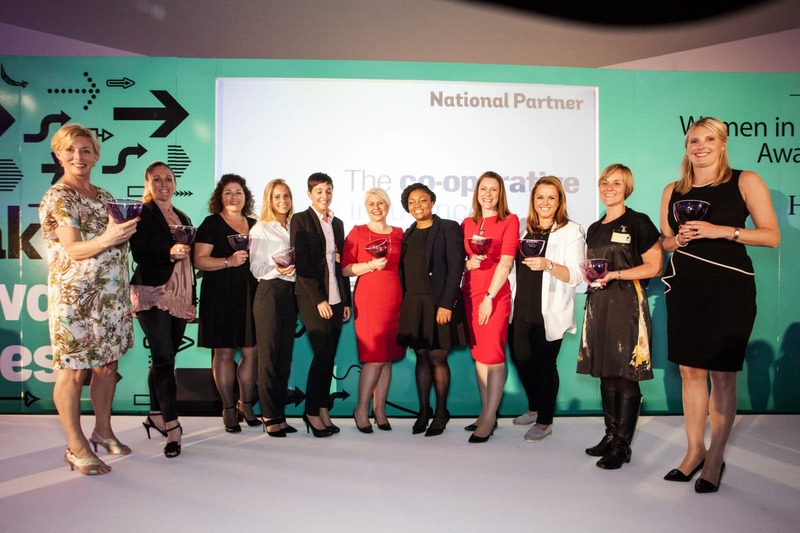 In announcing the results for Yorkshire & Humber, North East and Scotland, Griselda Togobo, MD of Forward Ladies said: “This has been a fantastic year for women; we continue to start, grow and run high profile successful companies. We have been surprised and delighted by the number and calibre and diversity of the applications we have received, and look forward to celebrating their success. The shortlisted applicants (see below) in each of the categories will be invited to attend the regional final at the Crowne Plaza Hotel in Newcastle upon Tyne on 14 October. The winners from this and the other regional finals, will then be invited to appear before a live judging interview panel in November, followed by the national final in Leeds on 1 December. All shortlisted candidates will receive tailored business support from HSBC. Microsoft will also offer a full review of their ICT set up. The review will explore how their organisation can utilise technology across a range of business functions to drive business results. Working with The Institute of Directors to attract more women into the organisation, they will waive the £220 joining fee, leaving just the yearly membership fee to pay - all designed to support our finalists. Lady Barbara Judge, chair of the IoD said: “It is my great pleasure to recognise the success of the women who have been shortlisted for The Forward Ladies’ Women in Business Awards. As recognition of their accomplishments I would like to waive the election fee for any shortlisted businesswoman who qualifies for membership of the IoD. These are all women who the IoD would be delighted to have as our members”. Other national sponsors include Co-operative Insurance, with audio visual partner Saville’s and drinks partner Perfect Cellar. Local sponsors include Sky UK, Yorkshire Water, the Yorkshire Post, Yorkshire Life, Welcome to Yorkshire, Carrwood Park, Leeds Beckett University, Leeds Bradford Airport, Common Purpose, WGN and LCF Law. Carolyn Pearson, CEO of Maiden-Voyage.com, Leeds, Anne Taylor, director, See Green, York, and Katya Varbanova founder and CEO of Peri10k and Livestream Income, Leeds and London. Vicki Davenport, sales and commercial director, The Pink Link, Huddersfield, Danielle Dixon, director, Kinder Haven, Leeds, Yvonne Hall, MD, Palm Cove Society Community Interest Company, Leeds, Debbie Heald, co-owner and MD, Heald, Hornsea, Ruth Newton, director, Young Discoverers, York, Louise O’Brien, MD, Greyhound Boxes, Justine Osmotherley, head of private clients and family law services, Clarion Solicitors, Leeds, and Karen Temple, MD, NPS Barnsley. Vicki Davenport, sales and commercial director, The Pink Link, Huddersfield and Debbie Heald, co-owner and MD, Heald, Hornsea. Tracy Basu, chief executive, Bramley Baths and Community Limited, Leeds, Claire Bennett, national operations director, Common Purpose, based in Bradford, Hayley Gillard, MD, Wild Goose Wellbeing C.I.C., Otley, Yvonne Hall, MD, Palm Cove Society Community Interest Company, Leeds, Genya Johnson, director, Get Sorted Academy of Music, Rotherham, Linda Kirk, founder, Just for Women Centre, County Durham, Jodie Marshall, MD, A Mind Apart Theatre Company, Sheffield, Sophie Patton, operations director, Connect Yorkshire, Leeds, Kathleen Redpath, operations manager, Anxious Minds, Newcastle, Katie Rigarlsford, enterprise and innovations manager, Enterprise and Innovation Hubs, Leeds Beckett University, Julie Tweedale, director, Freedom Personal Safety, Huddersfield, Sharon Watson, artistic director, Phoenix Dance Theatre, Leeds and Liz Weatherill, MD, Enable2 CIC, Bradford. Clare Brophy, MD, Companion Stairlifts, Guiseley, Leeds, Sandra Corcoran, director, Pennine Cycles, Bradford, Christina Gabbitas, director, Poems and Pictures, Selby, Claire Giffen, director, Gents Quarter, Bradford, Rachel Salway, founder, Roseannah, Sheffield, and Toni Anne Sanderson, marketing & operations director, nest.co.uk, Sheffield. Sally Bogg, head of end user services, Leeds Beckett University, Lisa Grant, business development and centre manager, St Catherine’s Church, Wakefield, Alison Hobson, MD, Just Peel, Snaith, Poonam Kaur, MD, fds Director Services, Wakefield, Zandra Moore, sales and marketing director, Panintelligence, Yeadon, Leeds, Sunny Pahal, head of soft crafts, Crafters Companion, Newton Aycliffe, and Joanne Wilkinson, financial director, Northbar, Leeds. Charlotte Armitage, MD, Yorkshire Academy of Film & Television Acting, Harrogate, Rashmi Dube, director, Legatus Law, Leeds, Faye Formisano, financial advisor, Pennine Wealth Management, Huddersfield, Claire Giffen, director, Gents Quarter, Bradford, Stefanie Hopkins, director, Faith PR, Brighouse, Sophie Milliken, operations director, Smart Resourcing Solutions, Newcastle, Liz Preston, MD, Craven Safety Services, Gargrave, Lucy Tootell, MD at Temporis Legal Recruitment, HuddersfieldudderfgielH and Amy Wray, MD Applegate Properties, Holmfirth. Clare Brophy, MD, Companion Stairlifts, Guiseley, Leeds, Emma Chidlaw, director, Unita Maintain, Sheffield, Kate Krachai, director, Quality Context, Sheffield, Claire Morley-Jones, MD, HR180, Garforth, Leeds, Vicky Newham, MD, Solutions Accountancy and Bookkeeping, Huddersfield, Ruth Newton, director, Young Discoverers, York, Vicky Nolan, business development director, Circuit Electrical Testing, Halifax, Louise O’Brien, MD, Greyhound Boxes, Leeds, Janet Smith, MD, Twenty Four Seven Nursing, Ilkley, and Karen Temple, MD, NPS Barnsley. Janine Burley, director, My Baby Can Dance, Hull, Jane Capstick, director, Aspire Magazine, Skipton, Andrea Chatten, director and lead emotional & behavioural psychologist, Unravel CEBPC, Sheffield, Katrina Cliffe, MD at KC Communications, Huddersfield, Jackie Cook, MD, CQ Strategic Marketing, Sheffield, Hannah Duraid, CEO, The Great Escape Game Sheffield, Amy Jackson, co-founder and director, Unwritten, Newcastle, Ellie MacDonald, MD, MacComms, Huddersfield,uddersfieldHu Joanna Stephenson, MD, PHD Marketing & Strategy, Pontefract, and Amy Stephenson founder of Human, Rotherham. Julie Bickerdyke, MD, Austin Hayes, Yeadon, Leeds, Tamma Grummit-Carel, director, Imvelo, Newcastle, Debbie Heald, co-owner and MD, Heald, Hornsea, Kate Krachai, director, Quality Context, Sheffield, Vicky Nolan, business development director, Circuit Electrical Testing, Halifax, Louise O’Brien, MD, Greyhound Boxes, Leeds, and Liz Towns-Andrews, chief executive, 3M Buckley Innovation Centre, Huddersfield. Hannah Duraid, CEO, The Great Escape Game Sheffield, Nicola Mellor, MD, Hellomint, Huddersfield, Jade Rose Topper, founder and designer, Lady Evelyn, Leeds, Katya Varbanova founder and CEO of Peri10k and Livestream Income, Leeds and London, and Rachel Wood, MD, Rachel Elizabeth Wood, Wakefield. Forward Ladies was founded in 1999, having originally been set up through the regional Development Agency, Yorkshire Forward. 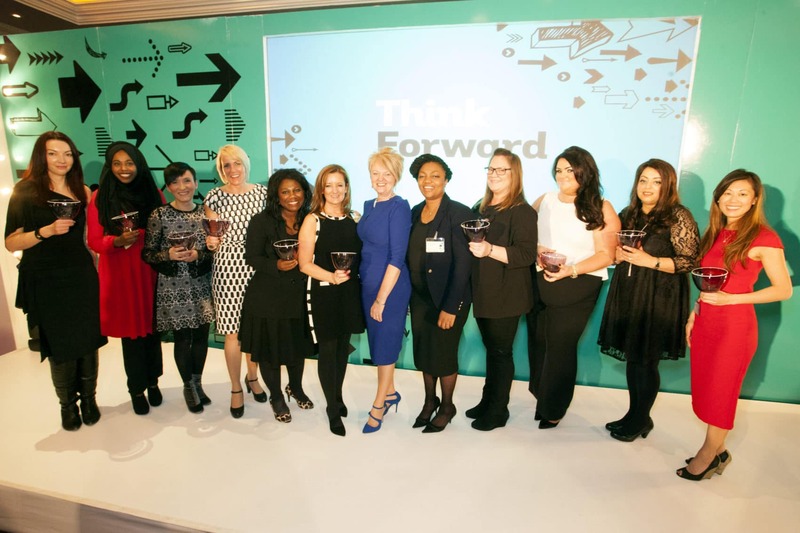 Forward Ladies started with one clear goal: to unlock potential in professional women. Seventeen years on and we are still going strong! We wanted to create an environment and community where women could feel heard, seen and able to upskill and develop themselves. However, after a few years our membership exploded and it became clear that we needed to spend some time creating different offers for the diverse women in our membership. We have start-ups, career women, heads of large companies, successful small businesses and women on boards – all within our membership. Forward Ladies is the most diverse and inclusive network of its kind. For further information, please contact Anne Crowther on 0845 6434940 or 07850 725793. I would like to congratulate everyone on achieving success on arriving as the finalist of this competition. Last year I put someone in for this event only to be told that you do not cover this region, Scotland and this year you have made it possible for me to enter that same person and at the time they accepted but at the very last minute they back down and I feel as though I have let you down, apologies, I was trying let someone from Scotland be a part of having success amongst women from the rest of the UK which would have maybe even boost the person's business further.